R.P. is a cowboy poet and western storyteller from the Pine Crest Ranch near Broken Bow, NE. R.P. is the fourth generation to raise cattle on the Pine Crest, he says "it still isn't a real big place, but I come from a long line of stubborn and persistent people". Over the past few years R.P. has been supporting his ranching habit by entertaining folks throughout the country. 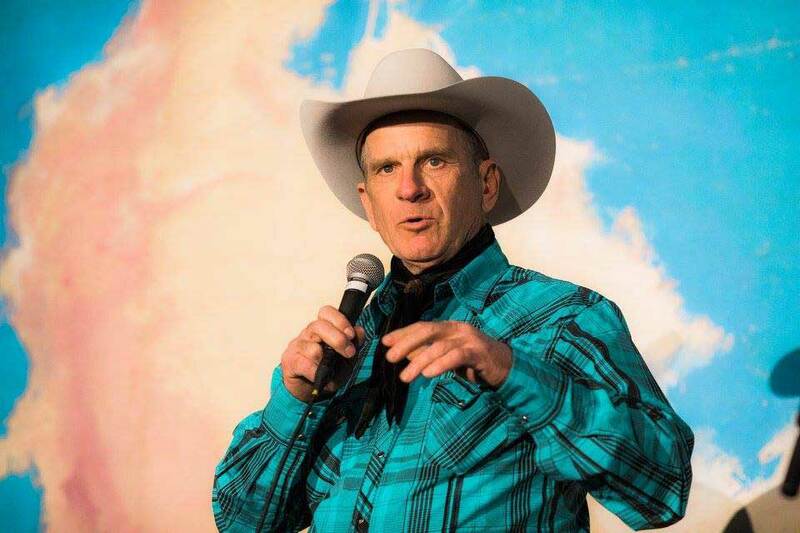 During his performances he shares his brand of cowboy poetry and country commentary, something that he considers a by-product of the beef industry, which has been processed by reciting for ruminates, relatives, and ranchers. In his travels to fourteen states and Canada, R.P. has had the opportunity to work with some of the top names in the world of western entertainment. He has been as a featured entertainer at some of the largest cowboy poetry gatherings in the country. R.P. has been amazed by the talented folks who are out there and that is why he is so excited about his rural radio network show, Home Grown. "Home Grown gives me a chance to run by some of my newest efforts and an opportunity to share the poetic and musical talents of some of the folks I have worked with. It is great stuff, and not something you will hear anywhere else." RP performed at BCSF as a supporting regional storyteller in 2011. He presents his brand of cowboy poetry in a storytelling style that was well-received by our audiences. Since that time, he has further polished his craft and we are delighted to have him back in 2019 as our lead storyteller. Jake is a writer and spoken word poet. He's had a love affair with words his entire life. His work covers everything from humor to philosophy and theology, and various combinations thereof. For him, poetry is an overflow of life. He's been a closet poet for the most part until recently. He began performing poetry for his church and was honored to perform at the 2018 National Cowboy Poetry Gathering in Elko, NV. A Colorado native, Jake now lives near Kearney, Nebraska with the greatest wife on Planet Earth and their four energetic young children. Jake is an emerging talent and was recommended for our festival by an experienced cowboy poetry fan that attends several events around the country. Jake, along with RP, performed recently at the Dakota Western Heritage Festival in Ft. Pierre, SD, and will be appearing at the Nebraska Cowboy Poetry Gathering and Old West Days in Valentine, NE the end of this month. Jake has also been invited to perform again at the 35th Annual National Cowboy Poetry gathering in Elko, NV late January 2019. We are pleased that Jake will be performing in a role supporting R.P. at our festival. 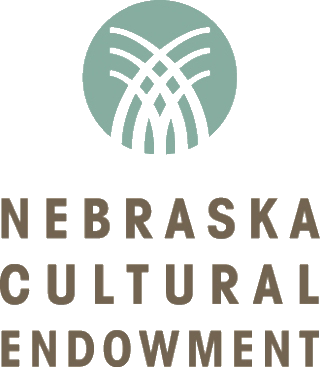 We consider both to be “national” caliber talent who happen to live practically in our back yard and are proud to showcase wonderful “Nebraska” talent. You can sample Jake’s writing and performing talent on the video on the home page of his website. The Diamond W Wranglers were the featured musical artists at the 2011 Buffalo Commons Storytelling & Music Festival. They were very popular with our audience and over the last eight years, we have had several requests to bring them back. This year with our cowboy poetry and storytelling theme, we felt it was the right opportunity to invite them back. They perform a combination of traditional Western music that pays homage to Western greats like Sons of the Pioneers and their own Western originals. They love western movie themes and turning modern country songs into haunting cowboy ballads. They can sing Cowboy songs in Chinese and even claim “doo wop” is part of our Western heritage. You can review in depth biographies and sample some of their music at their web site. Assistant editor of Nebraska Life Magazine, Alan resides of Norfolk, Nebraska. After serving in the Army four years, Alan spent 18 years writing for the Grand Island Independent Newspaper. Aspiring to be published in the highly respected magazine, Nebraska Life, he studied the writing style and worked with its staff until his first article, using both his words and photographs, appeared in the magazine in 2007. He contributed to the magazine for the next three years. Alan was later hired as a full-time Nebraska Life writer and currently serves as its assistant editor. He has also authored a children’s book entitled, “What’s Going Down in Prairie Dog Town?” which includes a forward by his conservationist mentor, Jane Goodall. This was an opportunity I could not let pass by," Bartels said. "It was a dream come true, and I get to live that dream everyday while meeting, photographing and telling stories about the people I meet – like the people of Stromsburg – through the pages of Nebraska Life Magazine." MEMORIAL PARK & RIVERVIEW CEMETERIES - FREE EVENT!